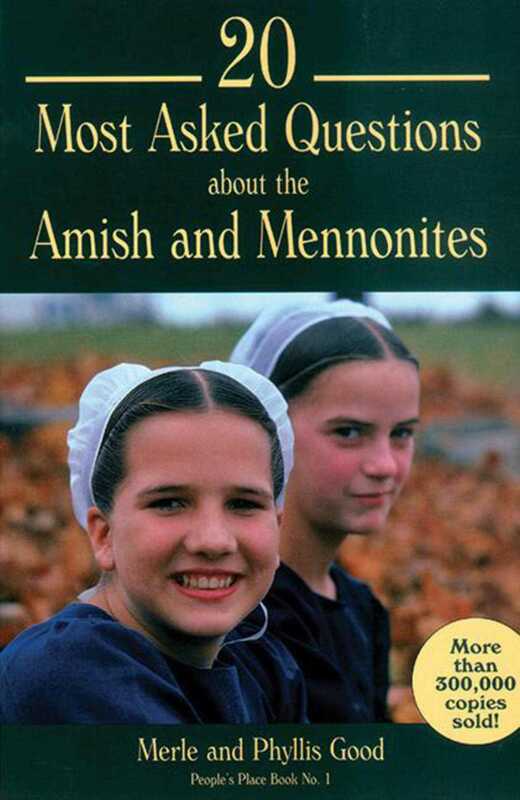 Sensitively answers the most common inquiries about Amish and Mennonite peoples. Authoritative, sympathetic, and thorough. 20 Most Asked Questions looks at origins, dress, pacifism, education, weddings, funerals, and food, as well as many other facets of Amish and Mennonite life. This book has sold more than 200,000 copies. 2. When and how did these people get started? 3. Are they a Christian group or do they represent a different religion? 4. Aren’t they a bit naive and backward? Why don’t they accept modern things? 5. Does anyone ever join them? Does anyone ever leave? 6. Why do they dress that way? 7. Is it true they don’t go to war? 8. Why are they against education? 9. Why are they such good farmers? 10. Why don’t they pay Social Security taxes? 11. Do any of the Amish or Mennonite groups believe in missions? 12. What are their weddings like? 13. How are their women and children treated? 14. Is food a part of their religion? 15. Do they go to doctors and hospitals? 17. Don’t they believe in having fun? 18. What are some of their problems? 19. Are they growing or dying in number? 20. What, in fact, holds them together?